In New York City, world-class art museums are waiting around every corner. Amidst the priceless Picassos and stunning Van Goghs, however, is one museum that offers something entirely different. The Museum of Arts and Design focuses on the history of craft and on the process of creating unique pieces of art. 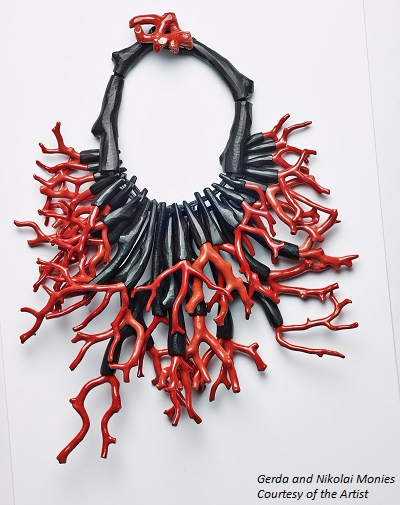 "We're the only museum in New York City dedicated to craft," explains Chief Curator Shannon R. Stratton. "Not a lot of other museums have their basis in very specific disciplines, but we have a particular root in the major craft disciplines." MAD was founded in 1956 as the Museum of Contemporary Crafts and later became the American Craft Museum. The museum offers a distinct perspective on artworks, focusing on the materials and processes that artists use to create their works rather than solely on the completed works themselves. The museum has no permanent exhibitions, offering instead a lively calendar of rotating exhibits which allows MAD to address a diverse range of topics and themes. "We have a lot of leeway to produce unique programs," Stratton says. "We can present works that are made of different materials, and the themes we present are not usually things that people expect to come across. 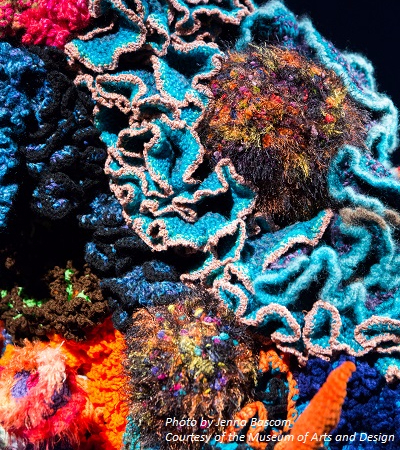 We've had exhibits on 3D printing, a permanent jewelry exhibition space, and recently explored the impact of climate change on coral reefs using crochet." Another unique element of MAD is the Artist Studios, where MAD hosts a diverse range of artists and designers who work in a space open to visitors. "Visitors enjoy having this kind of live interaction with artists in their studio--they're welcome to watch and ask questions," Stratton says. "It's great for the artists as well. The kind of broad feedback they get from the public inspires the work their doing." Visitors with any level of familiarity with art will leave the museum with a fresh perspective. "The museum communicates something about the breadth of creative practice," Stratton says. "Someone who thinks about art as just painting and sculpture will expand these preconceptions. Art can be anything." The Museum of Arts and Design is a space that is small in scale but big in scope. "Physically, the museum is small, so it's a great place to be able to stop and take an art break," Stratton says. "A place like the Met can be overwhelming, but here, you can go through the museum in an hour and have a rich experience."